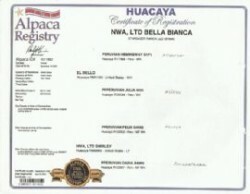 Bella Bianca has dense, gorgeous, bright crimpy bundles, scrumptuous handle with superb conformation and a dynamic presense. She is a Hemingway granddaughter and 3/4 Accoyo. 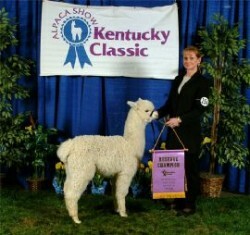 At the 2004 Kentucky Classic, at just barely six months of age, she finished second in an outstanding class of ten juvenile white females, being declared “the best fleece in the class; an elite fleece” by Judge Wade Gease. 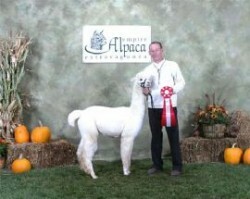 She made the gratifying move to Reserve Champion White Female in the championship out of 38 white entries! 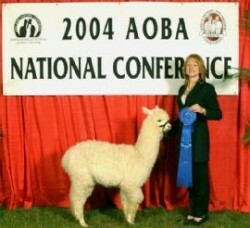 At the 2004 AOBA Nationals, the largest alpaca show on record, she was awarded first place in halter, out of 14 competitive entries. Her 2004 micron count is just 15.3, with eight crimps per inch. 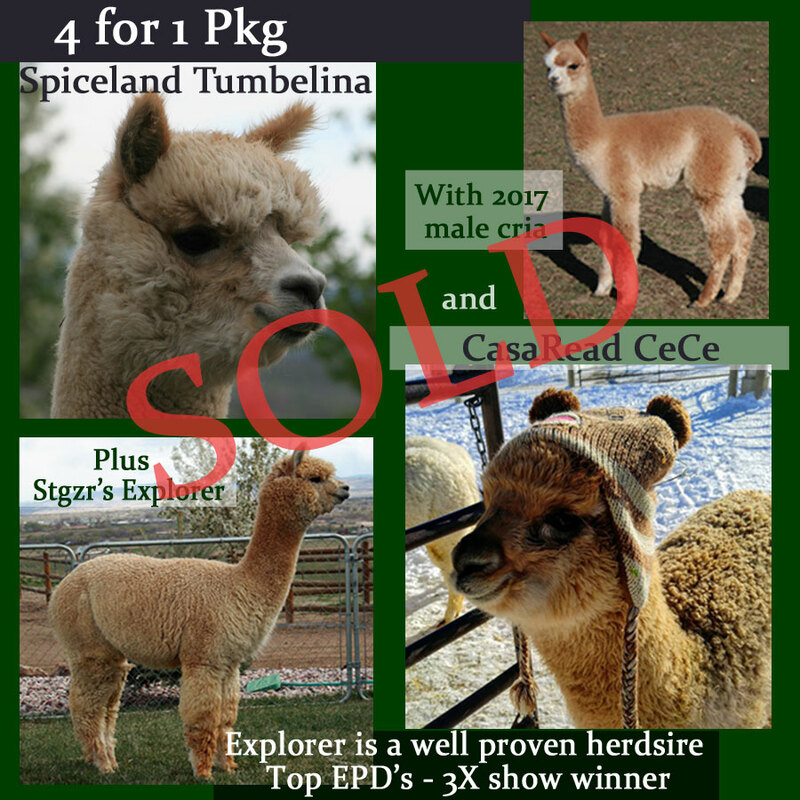 While we certainly aren’t the only breeders buzzing about Bella – can you tell we are excited about this beauty?Then after all that, there is her pedigree to indicate her prepotencey. 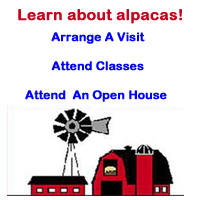 This girl is a herdsire producer. 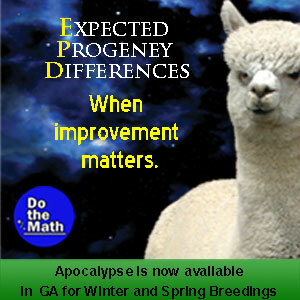 . . WYSISWYGEPD results for her and her offspring available. 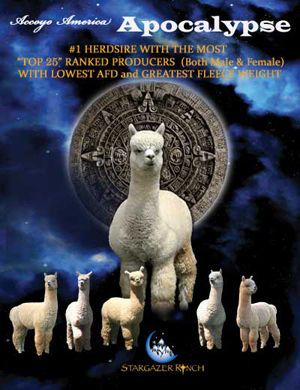 Sells with a breeding to a Stargazer herdsire of your choice.